Hi everyone! 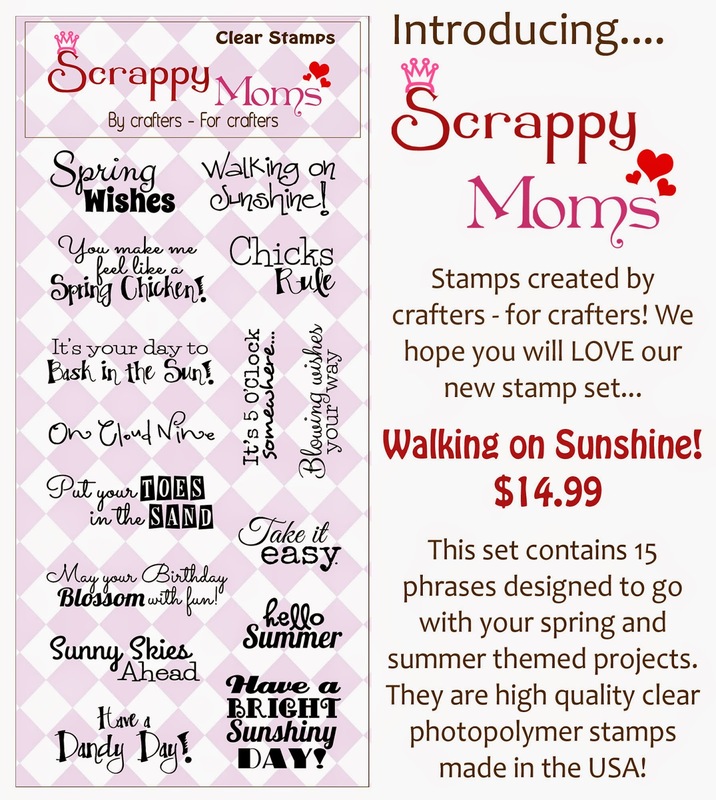 It's time for the April release from Scrappy Moms Stamps. I'm very excitied about this release. One of the new sets is "More Mini Messages". I love the smaller size and variety in this set. It covers so many occasions on one set! Here are the new stamps. 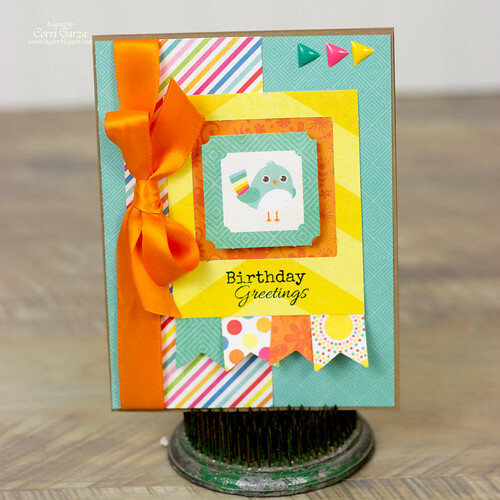 I used the new I Love Sunshine Collection from Echo Park. All the die cuts are the the Ephemera Pack. You can see more projects with these new stamps by visiting the rest of the Design Team ( links in sidebar) and our guest designer Gloria. 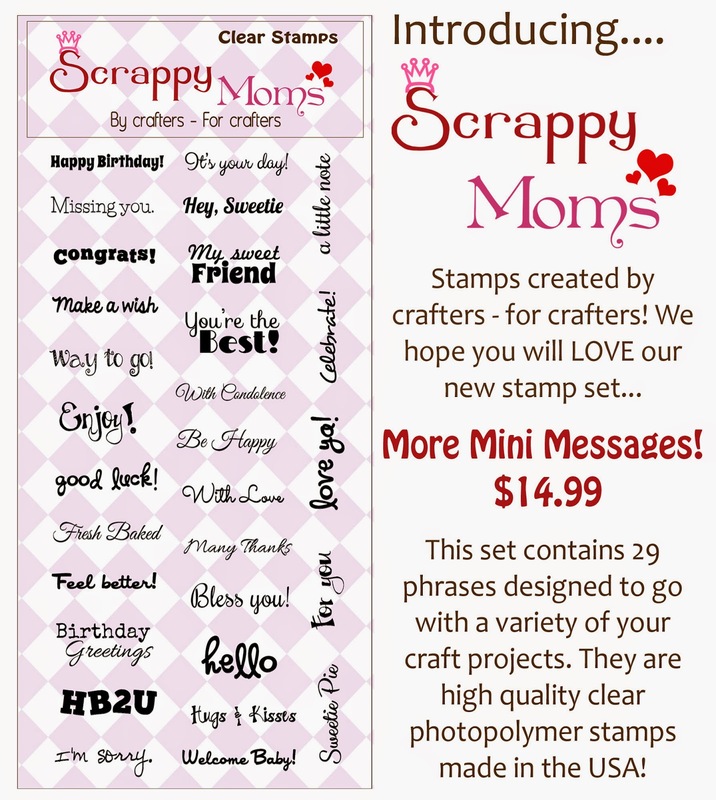 Head on over to Scrappy Moms to pick up these fun new stamps! Too darn cute!!! Love the bright colours! !